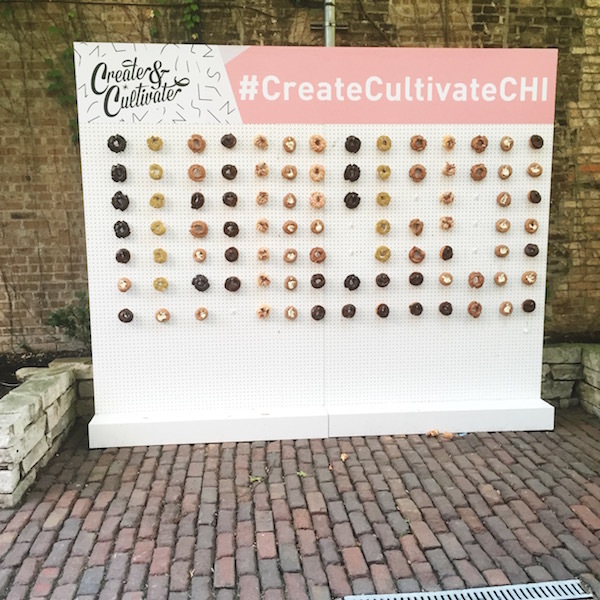 Create & Cultivate Chicago 2015. 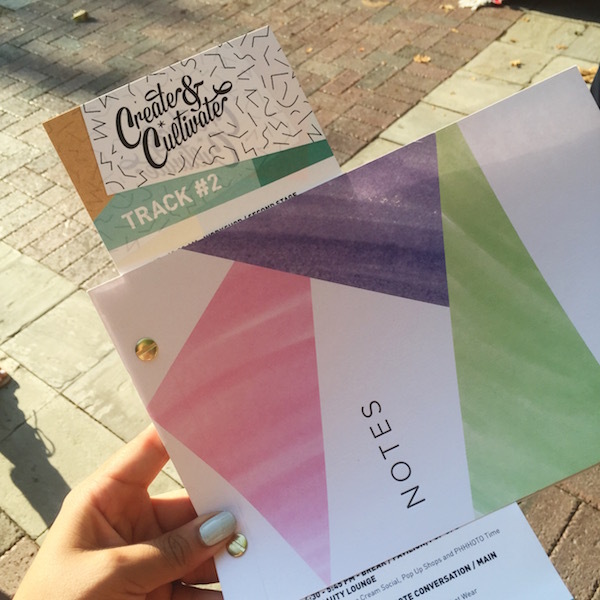 I am so happy that I made the last minute decision to attend Create & Cultivate 2015! 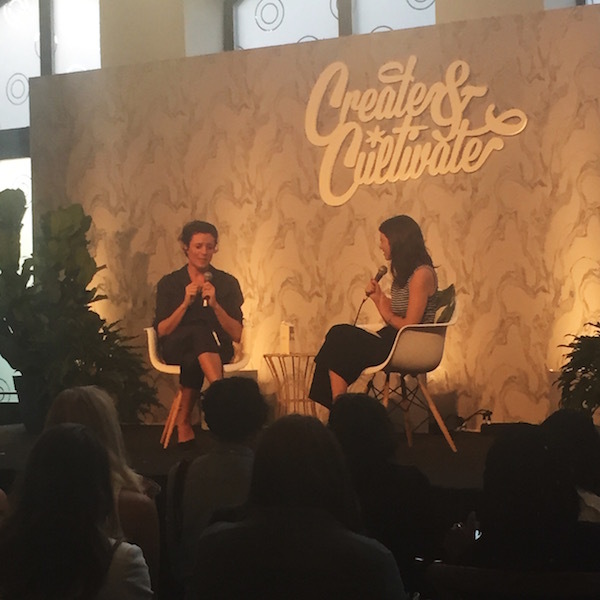 Create & Cultivate is one of a kind creative conference & online platform for female entrepreneurs in the digital space. Click READ MORE to get all of the inside deets about my experience and view some pretty awesome photos. After doing a little more research on the conference (and finding a wonderful coupon...you all know me), I decided that I just had to be there and purchased my ticket. This was the first time C&C was taking place in Chicago and I definitely made the right decision by attending. I arrived at the conference at 8am sharp and was greeted and then lead to the registration tables. After receiving my name badge, notebook and track schedule for the day, I headed over to the pavilion area for a light breakfast. It was then time to begin the day. I had a blast! 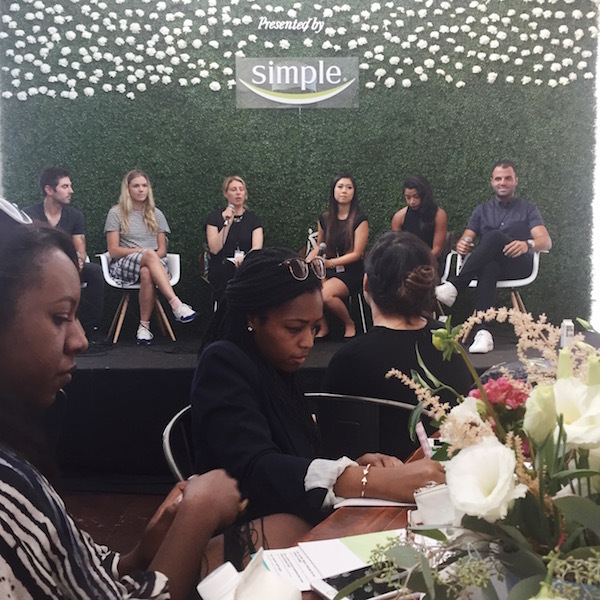 I learned a bunch at all of the panels and mentor sessions on my track, featuring wisdom from some super successful people- bloggers to business owners. 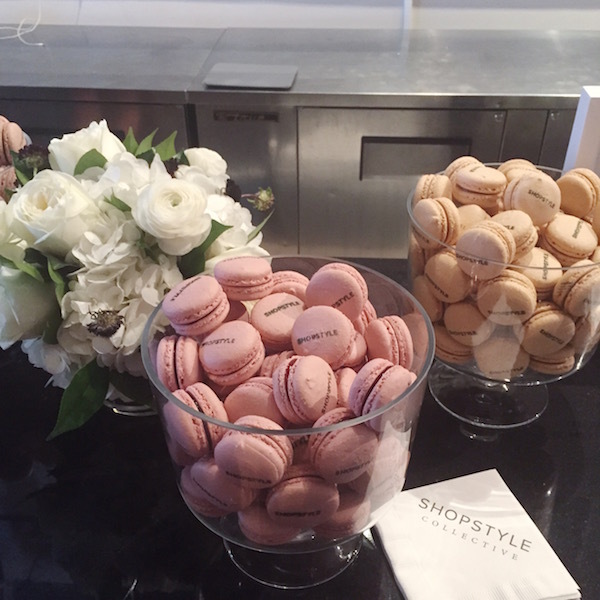 The beauty area was just adorable, with complimentary make up, hair and nail bars. I love my no chip OPI mani! 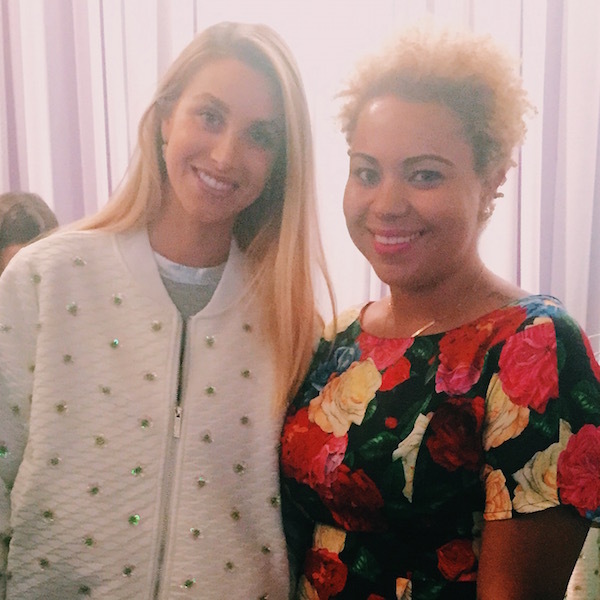 There were also pop up shops featuring brands such as Top Shop and Whitney Eve ( I actually got to meet & take a photo with founder, Whitney Port of MTV's The Hills!). However, my favorite part about attending Create & Cultivate has to be the amount of amazing creatives that I was able to meet and connect with. I literally came home with a purse full of business cards. Everyone was genuinely interested in learning your personal reason for attending and your creative/career goals. It was so cool to hear about so many different ventures, dreams and goals. I definitely believe that in the future I will collaborate with quite a few of the people that I met at the conference! I even got to speak with the the CEO and founder of No Subject, the digital agency that is responsible for Create & Cultivate. 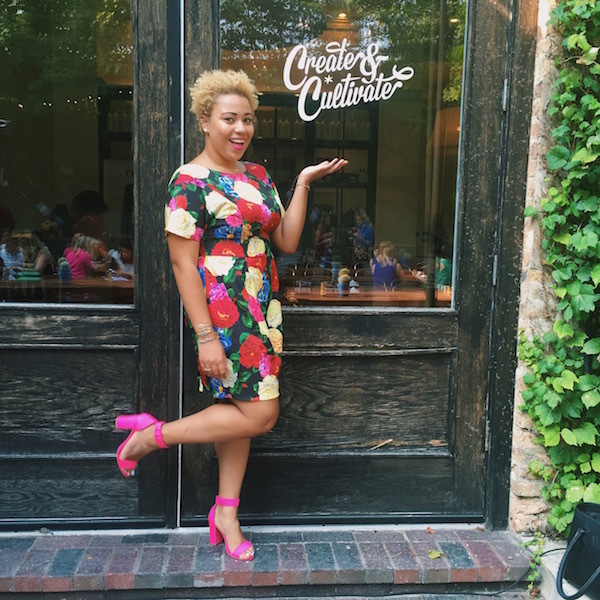 Jaclyn Johnson is one of the sweetest and most humble #GIRLBOSSES that I've ever had the pleasure of meeting. It was actually her motivating interview on the She Did It Her Way podcast, that inspired me to even buy my ticket at the last minute! 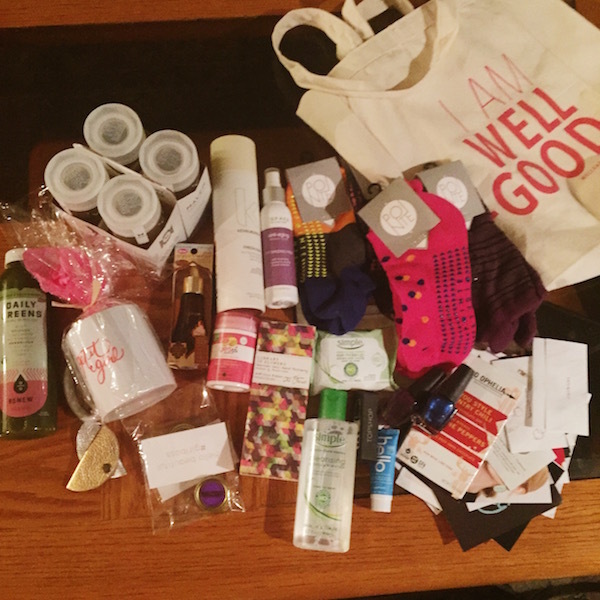 Oh yeah, can't forget to mention how awesomeeee the goodie bag was...I mean who doesn't love goodie bags? I'd recommend this conference to anyone who is interested in entrepreneurship or is just looking for a little motivation or inspiration professionally. 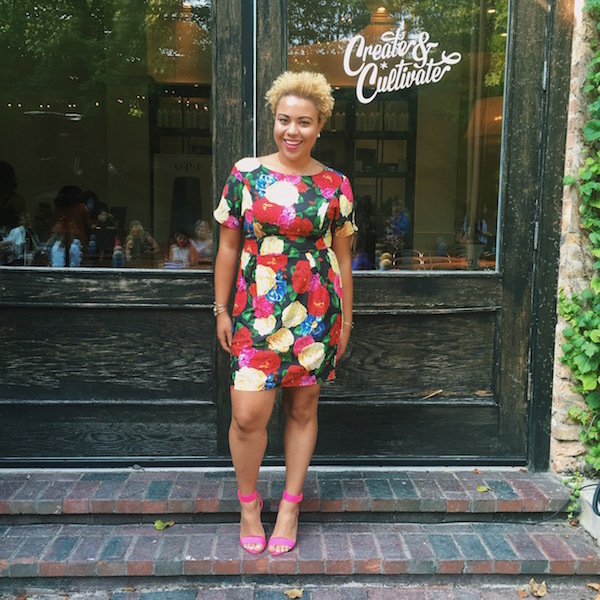 I left feeling completely renewed and ready to take on the world! YAY!...looks like fun. Hate I missed it, but a girl has to stick to budget. I totally understand! Thanks for checking out the post. Looks like you had such a great time at the conference. I wish I had gone but hearing about your experience, I will definitely be going next year! Thanks for sharing!